Things got very busy for us this past month when we were provided just a few days of notice that California Department of Wildlife (DFW) intended to submit an application to the Office of Administrative Law (OAL) to enact Emergency Regulations to broaden the definition of “suction dredge” in a way that would include the new method of underwater suction mining that we have developed. That would effectively eliminate our new activity as part of the existing Moratorium on suction dredging for gold in California. Most Gravel Transfer Devices pretty much look like this. 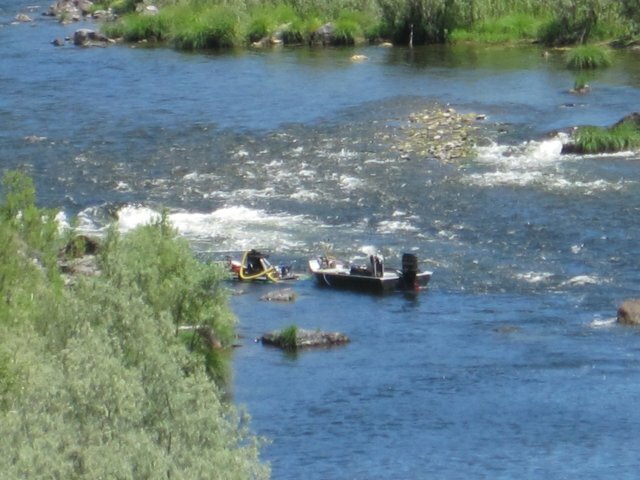 We counted a total of 15 on over 100 miles of the Klamath River. Most were sitting idle. How is this an emergency? Through quite a substantial effort, and some awful good teamwork over the weekend, we helped organize a lawsuit in Siskiyou County against the California Department of Fish & Wildlife on behalf of 20 local businesses just after lunch on Monday (1 July) – with an emergency hearing scheduled in front of a local judge on Tuesday at 1:15 PM. Our Motion was for an immediate Temporary Restraining Order (TRO) to prevent DFW from enforcing the Emergency Rulemaking. The Judge who presided over this case is the honorable Karen L. Dixon. Our attorney, James Buchal, drove down to Yreka from Portland, Oregon on short notice to make the case against the State. The DFW attorney appeared at the hearing by telephone. After listening to initial arguments on Monday, Judge Dixon continued the matter over to Tuesday afternoon, asking the attorneys to further brief her on matters of law with which she was not familiar. In short, DFW was arguing that since this was a “suction dredging” matter, it should be transferred to the San Bernardino court which has already consolidated around 6 ongoing lawsuits concerning suction dredging. Our side was arguing that this was not about suction dredging at all; but about what constitutes an “Emergency” for the purpose of bypassing the normal rulemaking process in California which must consider the economic consequences of new regulations upon small business interests. I want to thank everyone who attended the hearings in Yreka on both afternoons. The courtroom was filled to capacity on both days. I have the impression that this does not happen very often. Here is the initial Order that was signed by the judge before we left the courthouse on Tuesday, 2 July. The Order granted the TRO we were hoping for. Our motion was for a temporary restraining order (TRO) that would apply to all of California. But the issues are complex, as they always are; and Judge Dixon was only comfortable ordering a TRO for Siskiyou County. It is a step. This means we can continue with our underwater gravel transfer systems through the 30th of July when Judge Dixon will consider a more permanent injunction. 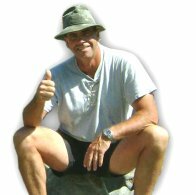 Both the Karuk Tribe and DFW are working furiously to get the Superior Court of San Bernardino to take this case out of Siskiyou County even as we go to press with this newsletter, so it is difficult to predict accurately when and where our motion for a permanent injunction will be heard. I want to especially thank longtime supportive members, Mark Chestnut, Richard Krimm and Jim Foley for helping to make this all happen. Our attorney, James Buchal, dropped everything else for five continuous days to make it happen. We are so lucky to live in a community where all or most of the other businesses are willing to fight on our behalf to push back the harmful impacts from too much government and unreasonable regulation. Thank you to everyone who attended the hearings – and especially to all of you who provide financial support so we can cover the costs of doing battle, which are substantial. I don’t think I have ever felt more proud than the moment when nearly everyone in the crowded courtroom erupted into a standing applause when the judge issued her ruling for our side. She looked pleased. Even the Siskiyou County Sherriff and his deputies were congratulating us for our win. We pushed the machine back one click on the 2nd of July. That was a big win for us. We should savor the moment since we have not had a win for a while. But the machine never stops grinding away at the traditional way of American life. Let’s not overlook that anti-mining advocates have already regrouped and are coming back at us, again. If all remains as is, this next hearing on 30 July will determine if we can continue our underwater suction mining for the remainder of this season. 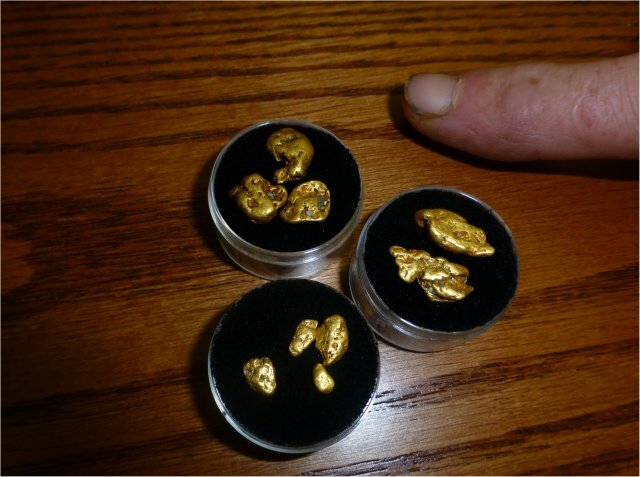 One-ounce bag of gold nuggets: William J. Burrage. Quarter-ounce bags of gold nuggets (4 prizes): Brigitte Mueller, Elvin Watkins, Douglas Hurt & Barb Pettigrew. One-pennyweight bags of gold nuggets (20 prizes): William V. Gallagher, John Benson, Jan Craig, Ed Tillotson, Maury Hammond, Clifford Paul Ryland, William Pechtel II, Donald Barnhart, John R. Smith, Craig John Kitchen, Robert Dilworth, Uwe Mueller, Doug Carlson, Scott Gainey, Bill Ransom, Skipper J. Phagan, Lucas Scott, Justin David Haines, Jim Varonfakis & Ernist Bassi. Congratulations to all of the winners and thank you very much to everyone who participated. I want to especially acknowledge the substantial response to my calls during these final several days before the drawing. You guys really came through for us! It makes me very proud to know we have so many loyal supporters out there. 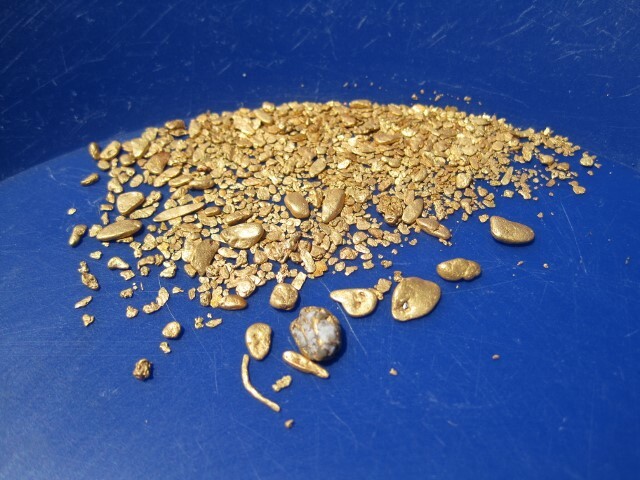 The substantial response has prompted Richard Krimm and me to put up 3 ounces of the gold we are mining on the Klamath River this season for the next drawing prizes. Here is the next drawing! Any contributions received after noon on July 13th will have automatically been issued tickets in this next fund-raiser. 2013 Season is Going Great! We have so much activity centered around Happy Camp this season, the town almost looks like the bustling economy that it was in the 1980’s and 90’s! There are some good gold strikes in play at the moment. We have done 2 very successful weekend Group Mining Projects on our Mega-hole property at K-15A, with another planned for this coming weekend. There have been a lot of members doing surface mining on the far side of the river, and a few in the river (finding nice nuggets), along our new A & D #3 property at K-23AA. There is a New 49’er encampment there on the large pull-off along the side of Hwy 96. There has also been quite a lot of action and excitement down on the new Middle Independence property at K-24A, where there is also a New 49’er encampment. Here are some beautiful nuggets Cliff & Sandy Jones have been recovering with their high-banker! I am also hearing of extraordinary gold strikes happening up on Indian Creek. These are just the highlights. There are members scattered all up and down our properties. Most of them are doing surface mining activity. At last count, there were only 15 underwater suction mining programs on over a hundred miles of the Klamath River (hardly a statewide emergency). My perception is that there are fewer now. Some of those initial guys have immigrated up to Oregon to operate suction dredges. 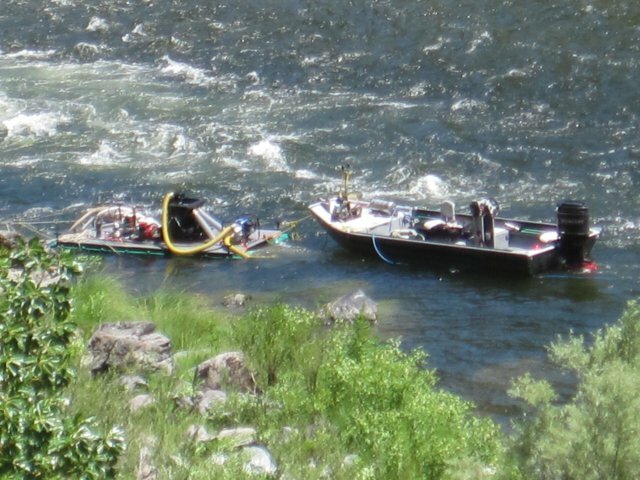 I am a little late with the newsletter this month partly because we have been devoting our creative resources to legal, and because I have also been spending some time on the bottom of the Klamath River prospecting for high-grade gold. After 6 weeks of part-time sampling on K-24A, Rich Krimm (my mining buddy this season) and I finally struck high-grade just a few days ago. We are using an underwater gravel transfer device. The following video sequence shows how my device transfers material to a shaker box on a floating platform. In all this time, I could not figure out what the heck was wrong. I knew the gold path was traveling down the east side of the river. Yet, our samples were uncovering excellent bedrock traps under fantastic original streambed (never been mined before). Our best day was little more than a quarter ounce. While many would be happy with that, I have vivid memories of how good it used to be. It used to be a lot better! All I could figure was that Richard and I were sampling between pay-streaks. So we kept sampling. We went from the top of the property more than a mile to the bottom – and then to the top, again. Moving my platform back up to the top of the property for another try! My old buddy, Al Copp, paid a visit just last week, and I took him on a boat ride, showing him all the places we sampled along K-24A. Al knows the property better than anyone, having recovered 800+ ounces of gold there during the “good old days” when we could use suction dredges. Al chuckled at my sampling choices, admitting that he made similar ones over the years — but it turns out that the high-grade gold path on K-24A is on the west side of the river (Hwy 96-side)! Al told me if we just switched over to the west side of the river, we would be into high-grade gold right away. Rich and I swung our sucking unit over to the road side on the 4th of July, just after Siskiyou County decided we can continue suction mining out in the river. My first attempt found loose cobbles with sand around them under about 18 inches of hard-pack — probably from the 1997 flood. Those loose cobbles would have been from earlier dredging. This gold came out of our initial sample, which was not much more than a pothole to see if we could reach bedrock! Rich and I tried a second sample about 20 feet in front of the first. And while we found original streambed there, we had to eventually give up because the streambed material was too deep for us to reach bedrock. We devoted a full day to the effort. Then we tried third sample 30 feet upstream and found bedrock in about four feet of material, the bottom two feet being original streambed. I’ll bet that streambed material has been there for 10,000 years! We spotted a nice nugget, maybe a pennyweight, as soon as we uncovered bedrock. Boy was that a game-changer! Our first two dives in opening this hole, maybe three hours of underwater time, nearly doubled the volume of gold we had recovered all season. There were 13 nuggets. We were seeing gold all over the bedrock. We even uncovered one pocket that the gold flakes just kept coming out of like a slot machine that was stuck in the bonus mode! It was fantastic! 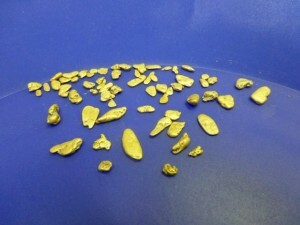 We recovered a half-ounce of gold just putting down a pothole! We are in high-grade now! This gold mostly came from a single dive once we organized our hole so we could work it safely! We put 2 dives (underwater suction mining) in our new discovery a few days later. It was the second day in this deposit. We needed to devote the entire first dive to just opening and organizing the hole to make it more safe. This was because all we did on the first day was make a pothole straight down in the material to see if we could find bedrock. It looks to me like this pay-streak is going to be good! 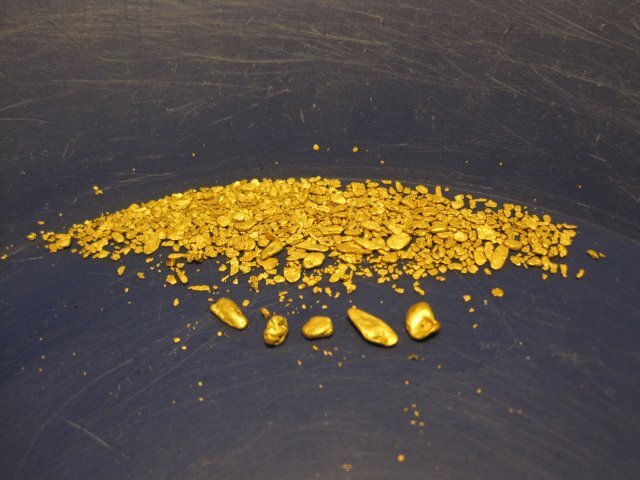 This is a strong demonstration of why it is so important for us to fight for the right to develop high-grade gold deposits which rest on the bottom of California’s waterways. If Richard and I can do it, so can you. And so can the generations of prospectors who will follow us. We should not allow misguided government officials take these opportunities away from Americans. It turns out after all that the high-grade is on the Hwy 96-side of the river on K-24A. I’ll make some adjustments to the claims guide. Despite our strongest efforts, Senate Bill 838 has now been passed through the Oregon legislature and is waiting for the governor’s signature. As I understand the law, it does not affect the present season, and the state agencies are continuing to issue suction dredging permits. We have members dredging up in Oregon at this time. 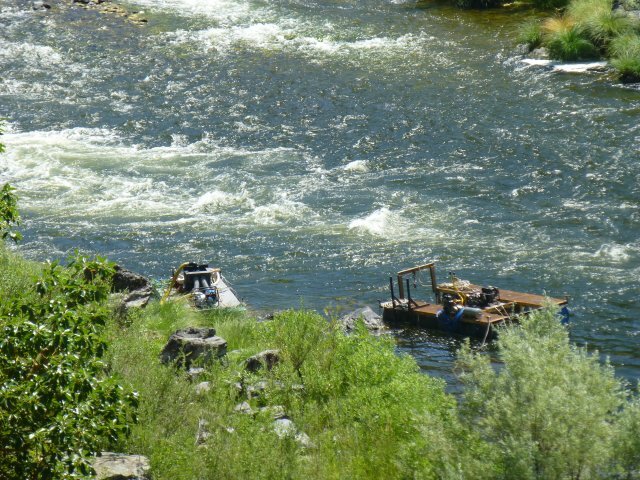 The new law, as amended, will affect the next two seasons by reducing the number of permits issued, impose distances between suction dredges, impose operating hours, and even require that suction dredging equipment cannot be left unattended on Oregon’s waterways. For a closer look, you can find the language of the bill right here. My best guess is that there will be legal challenges to the new law since it is unlikely that the State of Oregon has the authority to dictate many of SB 838’s provisions on how mining is conducted on the public lands. The prospecting associations in Oregon took the lead and did everything possible to kill SB 838. Thank you to everyone who participated in the effort to overcome this bad legislation. While we were not able to completely kill it, we at least have managed some time to challenge it in the courts. All members are invited to attend our weekend Group Mining Projects and keep an equal share of the gold that we recover. Here are our remaining events for 2013; August 3 & 4; August 24 & 25. Speaking of contributions, two of our most supportive members recently donated a 5-inch Keene side-by-side triple sluice suction dredge, along with all of the extras, weight belts, wet suits, pry bars; even fuel containers – pretty much the whole package to get started. The gear is in good running condition, and is available $3,500 (about 3 ounces of gold). Please call Montine for more information: 530 493-2062.